Orlando Brown, 30, is pictured in a booking photo. 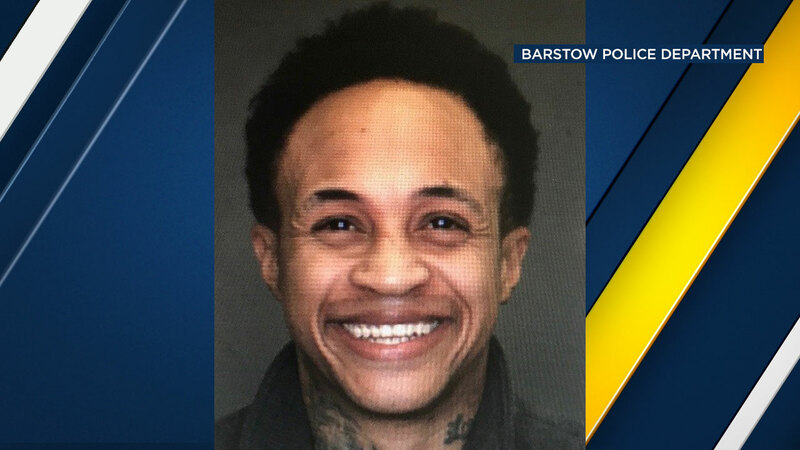 BARSTOW, Calif. -- Barstow police arrested a former Disney Channel star at an apartment complex after responding to a domestic disturbance call Thursday. An officer arrived at Aztec Apartments in the 100 block of West Buena Vista Street around 8 a.m. Thursday amid a verbal argument between a resident, 46-year-old Tanya Henson, her daughter, and her daughter's boyfriend, 30-year-old former "That's So Raven" star Orlando Brown. The responding officer discovered that Brown had an active arrest warrant for battery against a spouse, resisting a peace officer and possession of a controlled substance from the Torrance Police Department. Henson also had an active warrant out for her arrest for a drug charge from the Ventura County Sheriff's Department, according to police. Both Brown and Henson were arrested and booked into the San Bernardino County Sheriff's Department Barstow Jail. Disney is the parent company of ABC and ABC7.